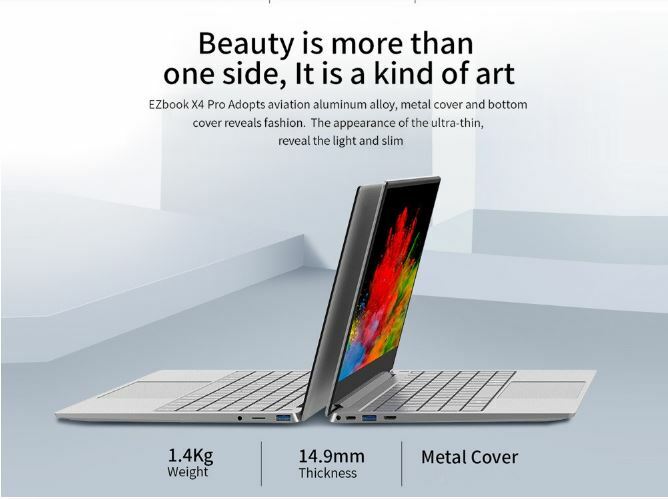 We already have in online stores the new Jumper EZBook X4 Pro notebook an improved version, as its name implies, of the Jumper EZBook X4 . A very complete and attractive design laptop with a metal body, screen frames of only 6mm, backlit keyboard and a weight content of 1.4mm. The rest of the hardware configuration is up to the exception of the processor used an Intel i3-5005U 5th generation, a Chip exceeded today. 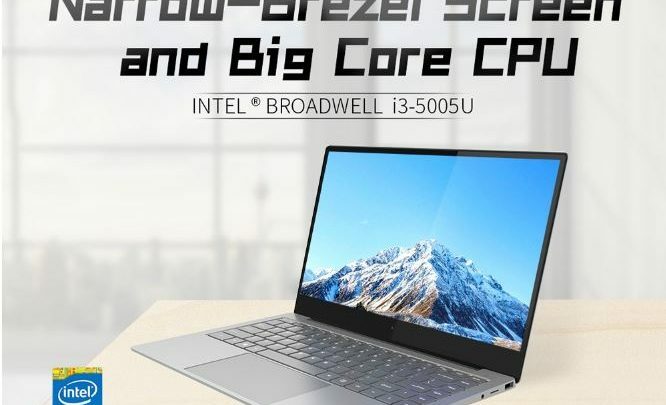 The price of this laptop does not help much, either, expensive, although we assume that it will decrease a lot in the coming weeks. 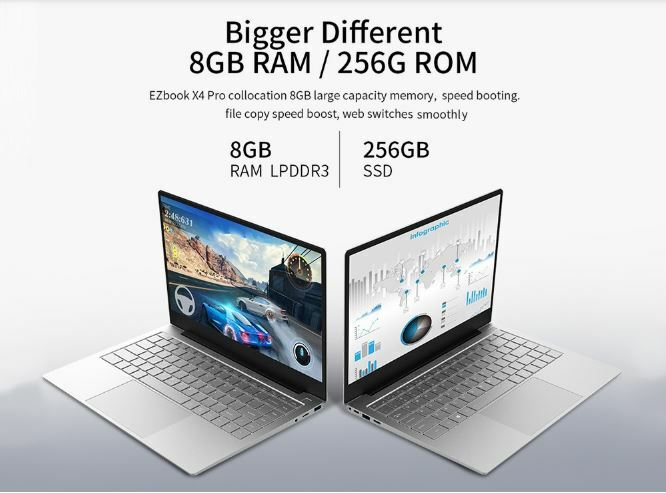 The Jumper EZBook X4 Pro includes an Intel Core i3-5005U 14nm processor with 2 cores and 4 wires with a basic speed of 2Ghz and an Intel HD 5500 GPU cooled by an internal fan. The base RAM is 8GB DDR3L and includes a M.2 SSD of 256GB . A base configuration with which we can move Windows 10 included as standard without problems and any program even the heaviest, games that we will be limited to basic things. 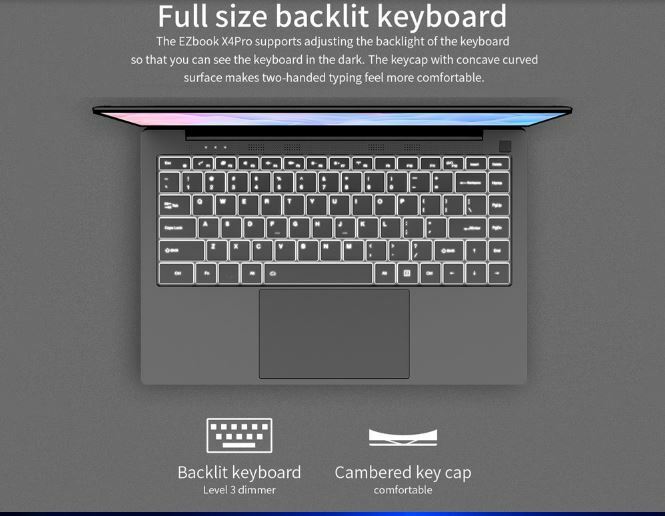 The Jumper EZBook X4 Pro can be purchased at Gearbest.com for $ 489.99 including shipping.